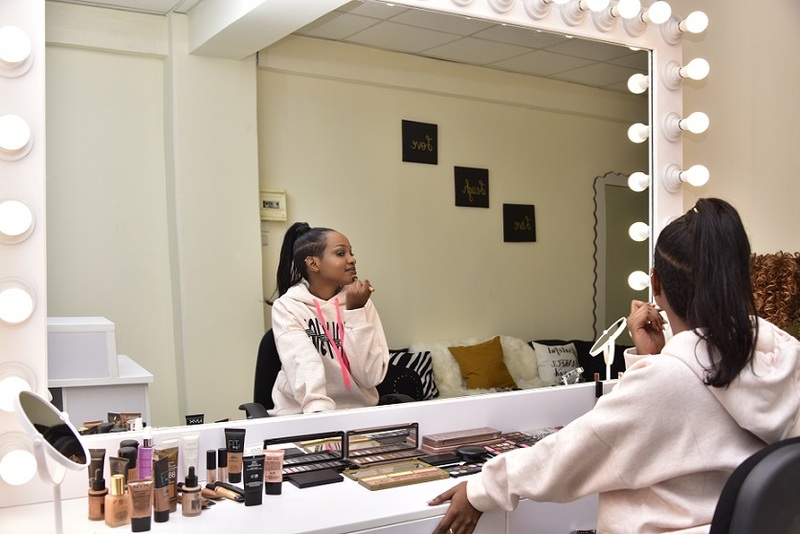 Milly Umuhoza, a Rwandan cosmetologist aged 25 proves that she has managed to make a lot of money through her job of beautifying people with make ups, She, however, underscores that this practice doesn’t require to have great skills in arts as many people think. Umuhoza says she started this profession in 2016 after quitting drawing art. She then learned how to use different make ups through YouTube tutorials. “It’s not true that cosmetology requires to be a crafter. What’s very crucial is that you devote yourself to it and learn how it’s done. However, you can sometimes draw on someone prior to using make ups that fit her eyelids, mouth, eyes, nose, etc.” Umuhoza says. She says it took her a little time to learn how to use make ups due to the skills she had in arts but reveals the practice is easier for everyone to adapt without necessarily having such high skills. “I started doing it at the end of 2016. My friends are the ones who sensitized me to do it professionally after witnessing that I had outstandingly learned a lot through YouTube tutorials.”she adds. According to her, there are so many challenges hampering this profession in Rwanda. Among them include people’s bad mindsets towards the use of make ups. Umuhoza says they are not valued and respected as other professionals employed in other fields. She adds that there are some clients who even don’t pay what they owe them. “No matter how talented or hard working you can be; it mostly gets long to be known because we are not promoted. Some of us are sometimes discouraged and quit the profession.” Umuhoza regrets. Challenging though the profession is, she managed to open her own make up studio instead working being at home. 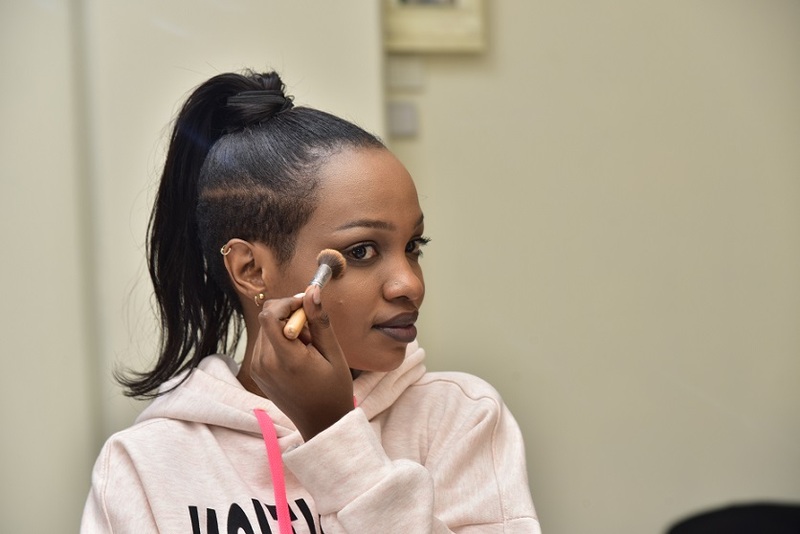 Since she started in 2017, Umuhoza has worked with different stars including, Charly and Nina, The Ben and so many others. In 2017, Umuhoza was nominated in Abryanz Style and Fashion Awards in the category of the best cosmetologist.